In 1917, Frances Griffiths arrives in Yorkshire to stay with her uncle Arthur Wright (Paul McGann), his wife, Polly, and daughter Elsie. Elsie and Frances assert that they have seen fairies while playing in the garden, and produce photographs of them which are authenticated by an expert. The pictures attract the attention of author Sir Arthur Conan Doyle (Peter O'Toole), who believes them to be genuine, and escapologist Harry Houdini (Harvey Keitel), who is sceptical. Before long, journalist John Ferret (Tim McInnerny) is investigating the girls' photographs, determined to prove that they are fakes. Many of you will know the story of the The Cottingley Fairies, if you don't, this is the true story of Fairies that appear in a series of five photographs taken by Elsie Wright and Frances Griffiths, two young cousins who lived in Cottingley, near Bradford in England in 1917. Now when I say true story, the photos were faked by the children, but at the time they fooled many people including the creator of Sherlock Holmes, Sir Arthur Conan Doyle. Well this film is a dramatisation of that story, but with some fantasy elements too. It is a lovely family film, and even has Harry Houdini in it! Well an actor playing the part I should say. 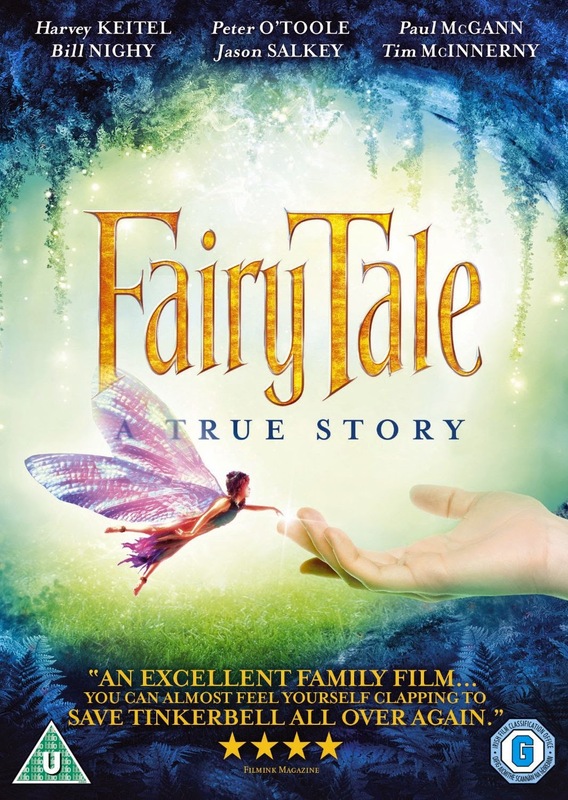 The film is pretty close to the real story, but of course this is a family fantasy film, so we get to see some "real" fairies in this. As a hagared old cynic, I really expected to hate this film, more so cause its the kind of film you would see on TV at Christmas, but I really enjoyed it, and I am happy to admit that. Perfect family viewing, kids will love it, adults will appreciate the story, and old cynics like me will even enjoy it. Truly a film for everyone, young and old.